Our team is comprised of both college educated professionals, and young professionals learning on the job each day. All of our workers understand the importance of getting it right the first time, and work diligently to make that happen for you the customer. We feel it is our obligation to impress you with both our professionalism on site, and our exceptionally high quality of work so that we get our working relationship off on the right foot and start working towards making you a customer for life. Our employees wear uniforms and conduct themselves professionally while working on your property so that if you have any questions during one of our jobs, you can get quick and informative answers. Should you ever have any further questions, our teams in the field will put you in direct contact with our owner Nick Kamataris to get things sorted out in a timely manner. 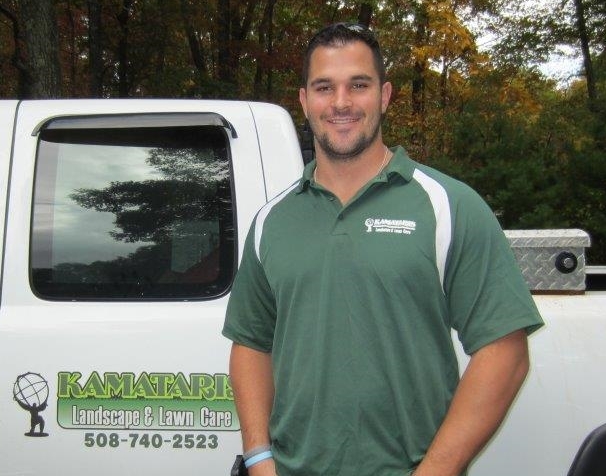 After years of working for a variety of landscape and construction companies, learning the right way to do business, how to be professional and how to build lasting impressions with customers, Nick Kamataris decided to go out on his own. He wanted to build a company based upon trust between business and the consumer. What started off as a small venture on the side has grown into an excellent small business. He takes a great deal of pride in his work and is always trying to learn new ways to improve customer service. His professionalism both on-site and in the office continue to improve the business as a whole, and he hopes to continue down the path he is currently on in which customers genuinely trust his opinion and advice and therefore he is able to create customers for life.